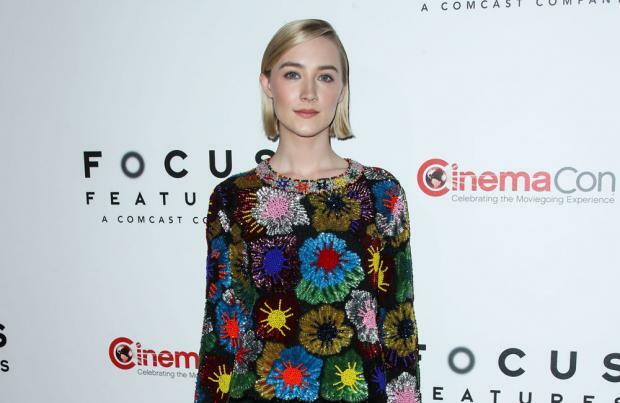 Saoirse Ronan wants to be in the 'Barbie' movie. The 24-year-old actress was delighted to find her 'Mary Queen of Scots' co-star Margot Robbie is taking on the role of the Mattel doll in a film produced by her own company LuckyChap Entertainment and she's asked her friend – who she shares just one scene with in the historical epic – if she can be her co-star. In a joint interview with the Radio Times, Saoirse said: "Are you doing Barbie? F**k yes. Maybe I can be your weird friend. "We need to be in more than one scene together next time." And Margot actress was open to the idea. She said: "I'm going to make it my life's mission." It was revealed earlier this month that Margot was taking on the iconic role – which previously had Amy Schumer and Anne Hathaway attached – after her company forged a partnership with Warner Bros. and Mattell. She said in a statement: "Playing with Barbie promotes confidence, curiosity and communication throughout a child's journey to self-discovery. "Over the brand's almost 60 years, Barbie has empowered kids to imagine themselves in aspirational roles from a princess to president. "I'm so honoured to take on this role and produce a film that I believe will have a tremendously positive impact on children and audiences worldwide. I can't imagine better partners than Warner Bros. and Mattel to bring this film to the big screen." The plot follows the titular character as she is expelled from Barbie Land for failing to live up to the perfection expected of its residents. A director for the movie, which has been in the works since 2017, is yet to be decided.